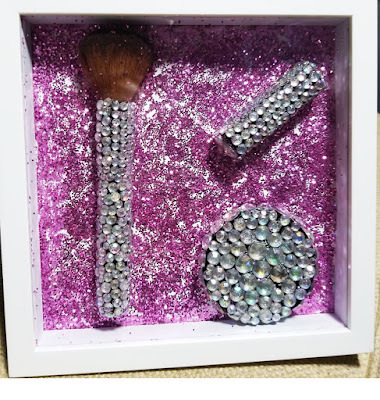 I'm back with another makeup decor idea. 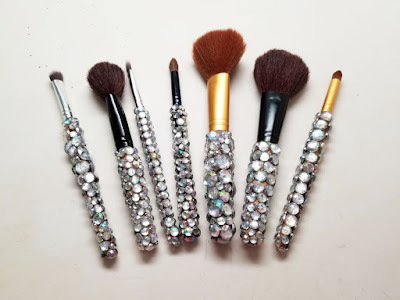 This time, we're talking about blinging out makeup brushes, or really any makeup product you want. 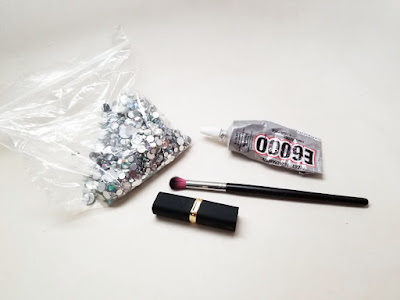 If you're looking for an easy way to decorate your makeup area, this is a great way to take some old makeup products and jazz them up. Check it out! 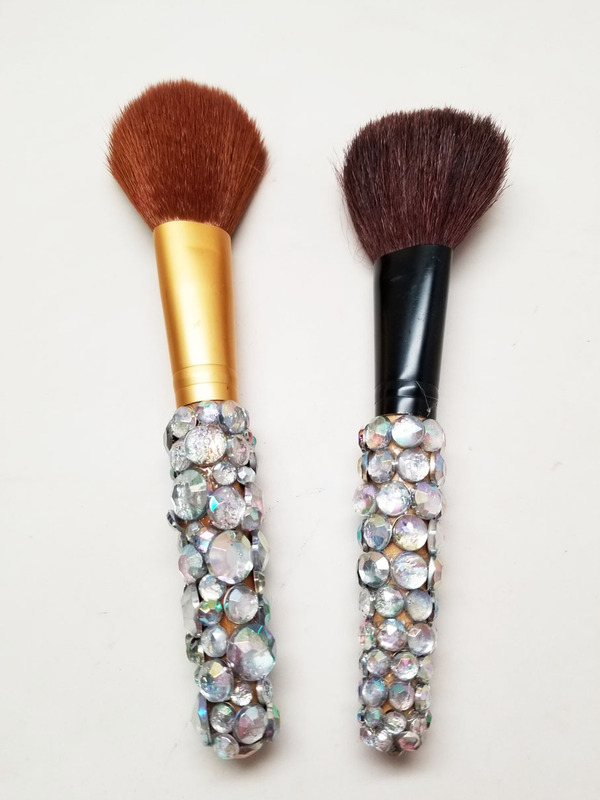 Here's what you need: makeup brush or product you want to bling, E6000 glue (you can find this at the craft store) and rhinestones of choice (these are from Hobby Lobby). 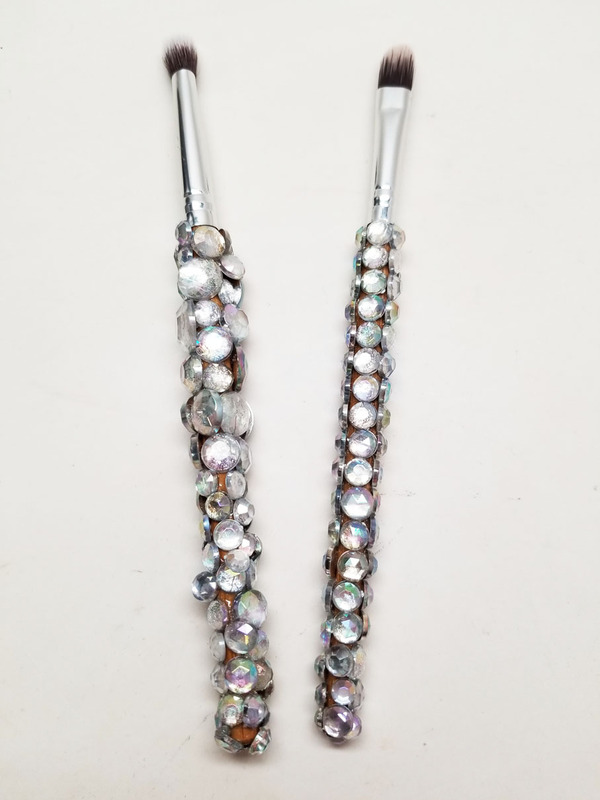 If you have a rhinestone holder tool that will also come in handy to help you apply the jewels. I learned a couple of tricks along the way. Use the same size jewel for a neater look, or use random sizes for more of a funky effect. Also, if you have different color ferrules and handles, you may want to paint those before hand. 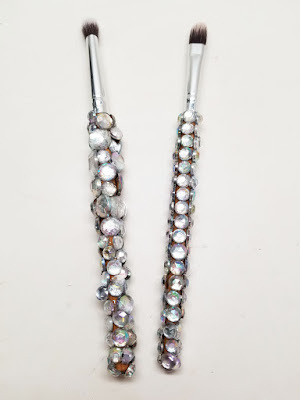 I would have painted these with a silver craft paint so that you couldn't see the color through the rhinestone gaps. Voila! Blinged out brushes! These would be cute to put in a container for display. Or you can frame them like I did. This frame is from Hobby Lobby, just use the same E6000 glue to stick the items to the paper. 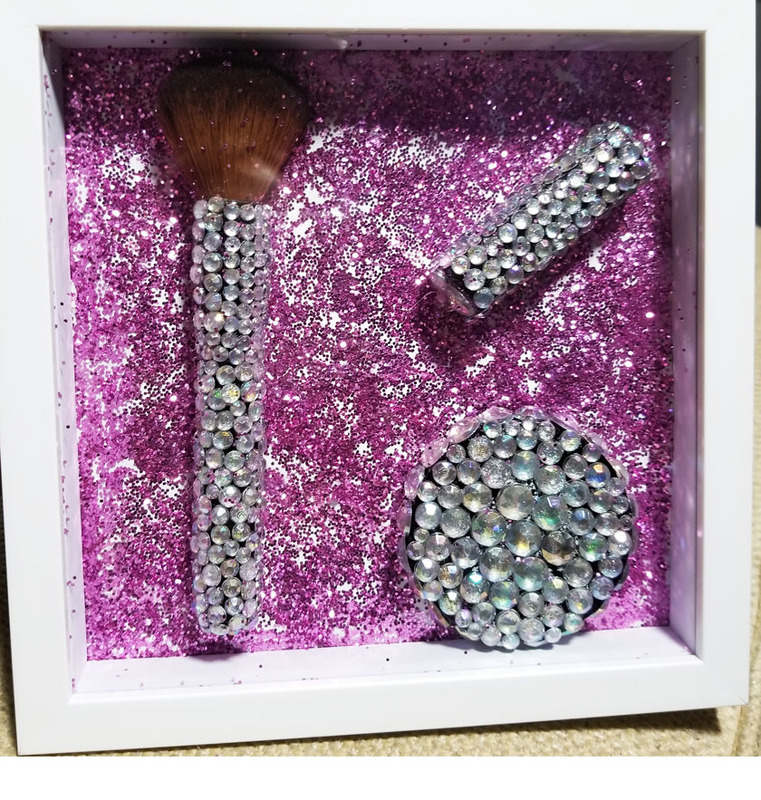 As you can see, I also blinged out a compact and lipstick to make my own makeup decoration. If you're crafty and end up trying this, tag me!